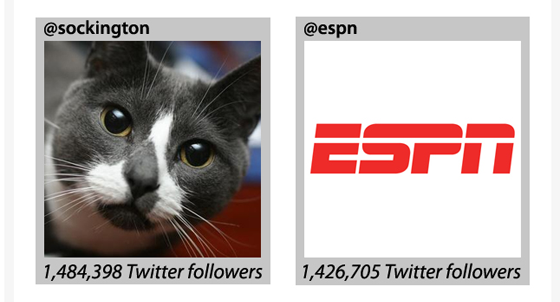 Who has more followers, a cat or ESPN? Mashable posted an interesting look at social media, comparing the number of followers of various media outlets to animals. The big winner, @sockington, with more followers than ESPN. What do you think this says about the power of social media?